If you’ve ever seen the movie “Accepted” it’s the story of a bunch of kids who get rejected by every reputable college in the country. So, they decide to start a school of their own. The movie stars Justin Long (the # 2 “Hi-I’m-A-Mac” guy from the Apple Computer commercials) and the legendary Lewis Black. It’s actually a reasonably-decent flick. Yesterday on The Blog we ran a picture of the Valentine’s Day riot at The Evergreen State College in Olympia, Wa. Today’s Seattle Times updated the story with a profile on the school and it’s a strange case of Hippie Washington life immitating art. In the movie, “Accepted” the students decide to come up with a “new way” of learning. There won’t be any grades. In fact the school doesn’t even have majors. Instead, the students are allowed to create their own classes in an atmosphere designed to promote academic freedom and creative individual thought. Sounds pretty cool, but completely unrealistic right? Whoa Dude!! They, like, totally made a real-life college based on a Justin Long movie! That’s so righteous! But, left to study anything they want exactly what would kids learn? Uh, ok. But after paying four years of tuition exactly what type of job does this qualify my child for? And the type of faculty you would attract in such an environment wouldn’t be your typical Ivy Leaguers. Thumbing through this year’s schedule, though, it sure SEEMS like a real school. Sure, anytime you have students picking their own curricula you’re bound to have some dopey classes. For instance, Evergreen State College offers a class that studies Myspace. But, on the whole, most of the stuff is pretty standard college fare. Now, I know what you’re thinking. Exactly what kind of an idiot teaches “The Art of Non-Violent Political Action” at a school which is now KNOWN FOR violent political action? Now, I’m not going to cast aspersions on the fine faculty of The Evergreen State College but you have to ask yourself exactly what are this bozo’s academic qualifications. Just who in the hell is responsible for teaching non-violence to the nation’s most violent students? Oops sorry! Not THAT kind of puppet theater. THAT kind of puppet theater. Now, since not one single goddamn person on the face of the earth who reads this post is going to believe me, I’ve linked to the school’s catalog as well as Goldberger’s university provided bio. And, unfortunately, Professor Hand Puppet isn’t even the professor that’s the school’s biggest embarrassment. That honor falls to Pete Bohmer. Man, that’s how everything in college starts. 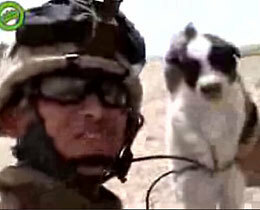 There’s just no way around the fact that this video puts U.S. soldiers in a very bad light. Even if the incident is staged (highly doubtful), at a minimum, the video shows incredibly poor judgement by the Marines involved. 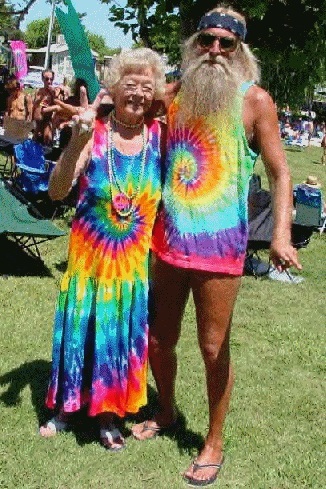 NOT YOUR GRANDPARENTS HIPPIES ANYMORE! of humans for their violence against animals seems at least a touch ironic. 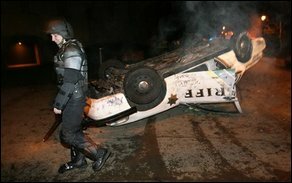 It’s just the latest in a spate of violence being performed by the Left in the Pacific Northwest. Particularly in Washington. Whereas grandpa Hippie was all about peace, love and John Lennon, his descendants have no problem with arson, violence and looting. 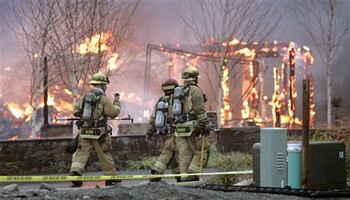 Recently, self-proclaimed “eco-terrorists” burned down a string of houses in the “Street of Dreams” development near Seattle. The same group that claimed responsibilty for that incident was also involved in the firebombing of a ski resort in Aspen because its expansion encroached on a lynx habitat. 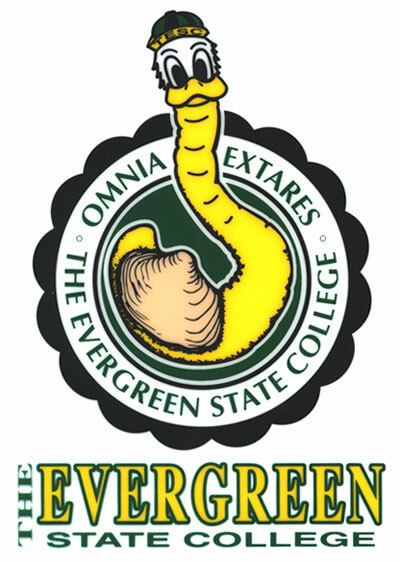 There were also recent student riots at Evergreen College because…well at least everyone stole some really COOL STUFF from the cops. You are currently browsing the archives for the hippies category.